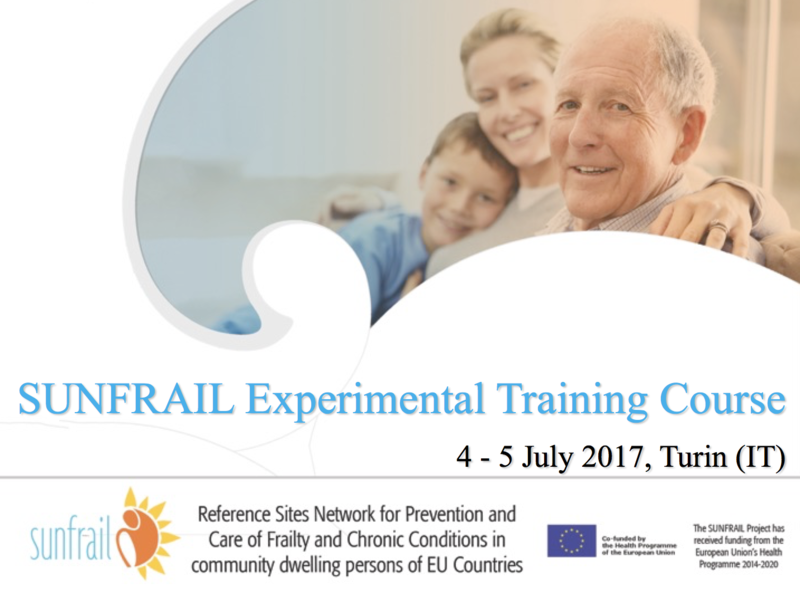 The experimental phase of the SUNFRAIL training course on the early identification of frailty and multimorbidity started in July. 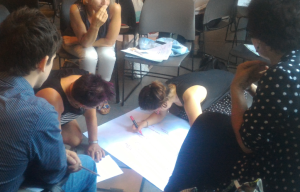 The first two-day training course was held on the 4th and 5th of July in Turin (IT), at the Institute for Social and Economic Research of Piedmont (IRES). The SUNFRAIL project, within which Work Package 7 is led by the Regional Health Authority of Piemonte and IRES, is completing an innovative academic toolkit (Continuing Medical Education (CME) and Continuing Professional Development (CPD)) mainly addressed to health and social care professionals, formal and informal caregivers and the community.The toolkit aims at highlighting the potential of the SUNFRAIL questionnaire (‘9Q’) in meeting future needs of the ageing population and at being proactive in prevention. Specifically, the innovative programme has a strong focus on prevention and on identifying and managing frailty and multimorbidity in the population (over 65 years old) at an early stage. The course programme included the introduction of SUNFRAIL by the project coordinator from RER-ASSR, and the SUNFRAIL Tool, which was presented by Marcello Maggio, University of Parma, and Ernesto Palummeri, Liguria Region. The tool consists of a questionnaire, containing nine questions addressing the biophysical, psychological and socio-economic aspects of frailty. The training also includes video material, which captures the application of the SUNFRAIL Tool in practice in the experimentation sites of Northern Ireland and Liguria Region. The course allocated a lot of time for discussions and sharing of experiences, and all the process was coordinated using the methodology of conceptual mapping. 28 participants took part in the course, all of whom were satisfied and enthusiastic about the programme. The second edition of the course will take place next September.